Roddy Theobald is a Senior Researcher in CALDER. 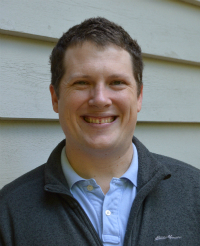 He received his PhD in Statistics from the University of Washington in 2015, and previously worked as a Research Assistant at the Center for Education Data and Research at the University of Washington and as a 7th-grade math teacher at Westlake Middle School in the Oakland (CA) Unified School District as a Teach For America corps member. His ongoing projects investigate teacher education and licensing in Massachusetts and Washington, postsecondary outcomes for students with disabilities in Washington, teacher quality gaps in North Carolina and Washington, and collective bargaining in California, Michigan, and Washington.